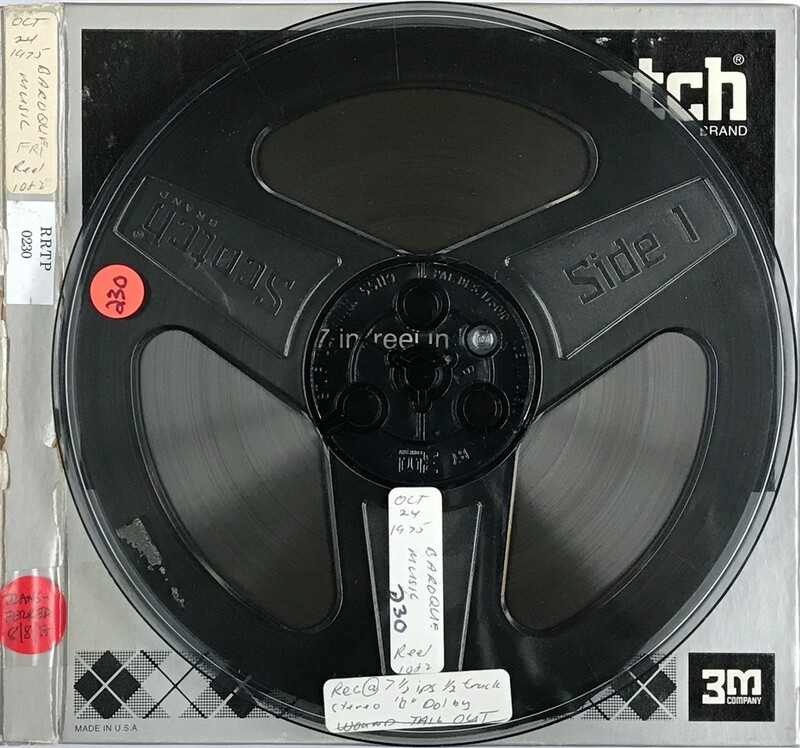 Scope/Content: Audio recording of UCI_Choir Concert of baroque music recorded at the University of California, Irvine on October 24, 1975. Performers: Kim Kay, violin ; Doug Rubio, guitar ; Peter S. Odegard, viola ; University Chamber Singers ; Kevin Golden, dir. ; The University Chorus ; Margaret Murata, dir. Duration: 62:12, 119.5 MB in two parts.